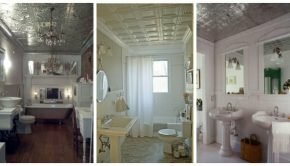 Vanilla Ice Installs Decorative Ceiling Application in “A Greater Room”! 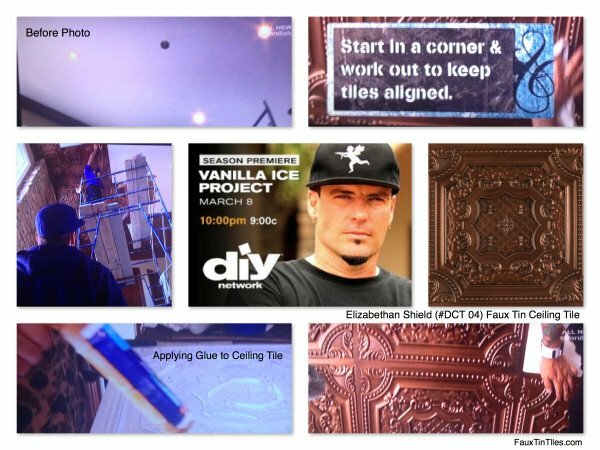 We finally had a chance to catch up on our DIY Network viewing and catch the March 8, 2014 episode where Vanilla Ice decides to install Decorative Ceiling Tiles Elizabethan Shield (#DCT 04) Faux Tin Glue-Up Ceiling Tile in the great room of the Florida house he is remodeling. 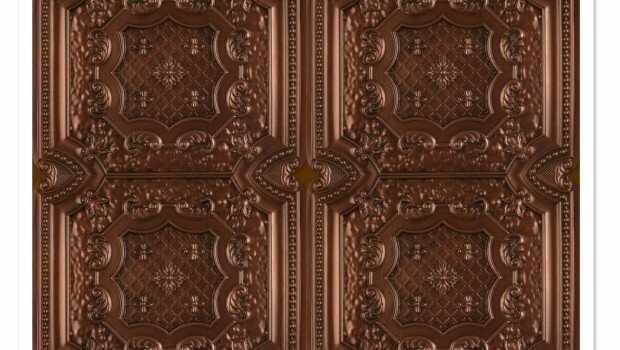 The tile is a beauty and fits perfectly into the ornate decor he has chosen. 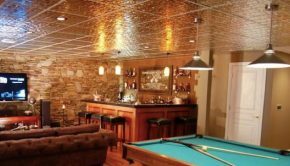 The color and texture help to warm the space left void by those soaring ceilings. We applaud his choice! Our favorite line of the whole episode is when Rob (aka Vanilla Ice) says, “If you think this is looking finished, well you haven’t looked up.” So few modern day designers and contractors take advantage of the all important 5th wall. 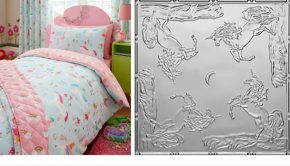 Maybe it will be Vanilla Ice, best known for his work as an American rapper, who will be the cultural influencer who propels the beautiful nuances of decorative ceiling applications back to the forefront of interior design. Summary: Just as we think Vanilla Ice is about finished with his great room remodeling project he smiles and says, "If you think this is looking finished, well you haven’t looked up." He gets it - he understands the importance of the 5th wall!